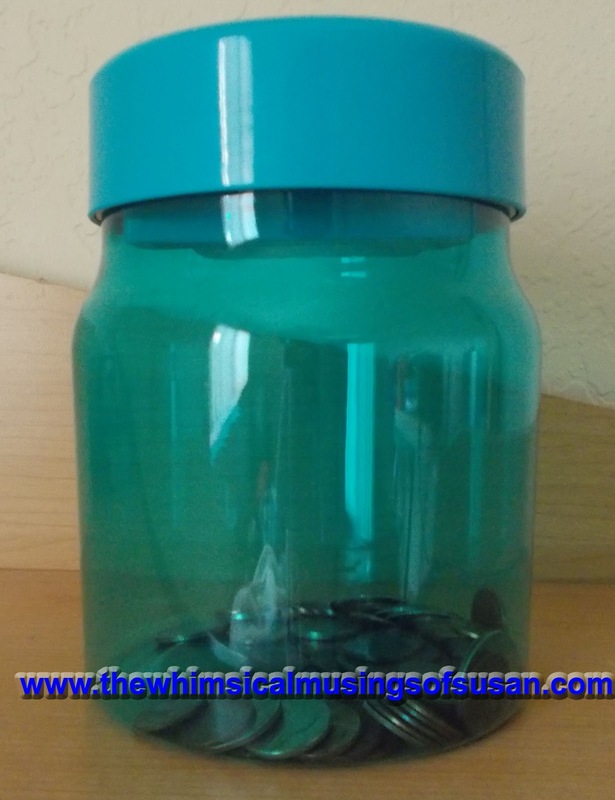 I was shopping at Sears a few days ago and stumbled upon this cute little savings jar which is on sale for only $5. The regular price on the size that I purchased in $20. 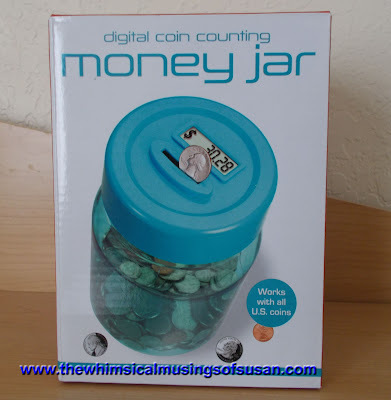 I have seen some brands of electronic coin counters that cost $50 and above. So, this is a good value at only $5. It is electronic and has an LCD that tells how much money is deposited into the jar. 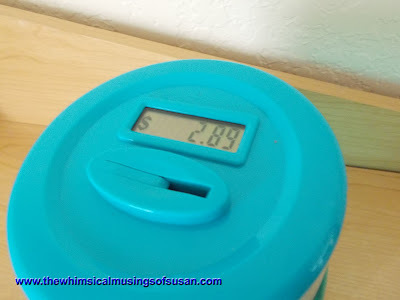 There is a device in the coin slot that can determine the amount that is deposited through the slot by the coin size. There is no slot for bills. It is a very simple desgin and the lid comes in many different colors, including camouflage. Also, the jar is a transparent, tinted, hard plastic material and 2 AA batteries are needed to power the LCD. It’s a cute way to save those coins that you get back every time you go shopping. Plus, I earned a few points in my Shop Your Way Rewards account.